Kuala Lumpur (VNA) - Vietnamese athletes competed successfully on the seventh official competition day of the 29th SEA Games with seven gold medals gained in track and field, swimming and table tennis. As of late August 26, Vietnam had a total of 50 golds, maintaining the second position on the Games’ medal tally. Host Malaysia still leads the table with 83 golds, while Singapore occupied the third place with 46 golds. 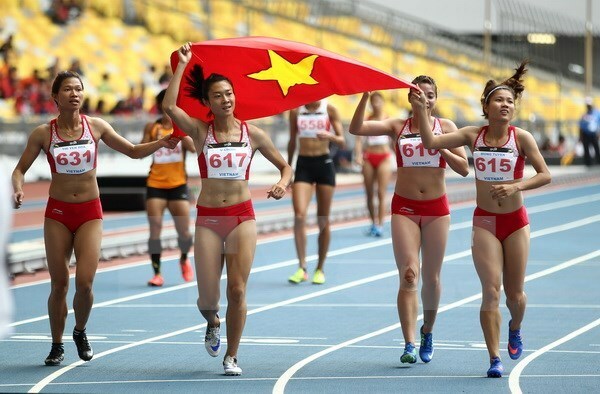 Vietnam sent more than 470 athletes to compete at the region’s biggest sporting event from August 19-30. They are competing in 32 out of 38 sports and aim to bring home 49-59 gold medals for a top three finish.